London, 1818 – a secret love affair begins between 23-year-old English poet John Keats and the girl next door, Fanny Brawne, an outspoken student of fashion. This unlikely pair started at odds; he thinking her a stylish minx, she unimpressed by literature in general. But when Keats's younger brother falls ill John and Fanny are drawn together. 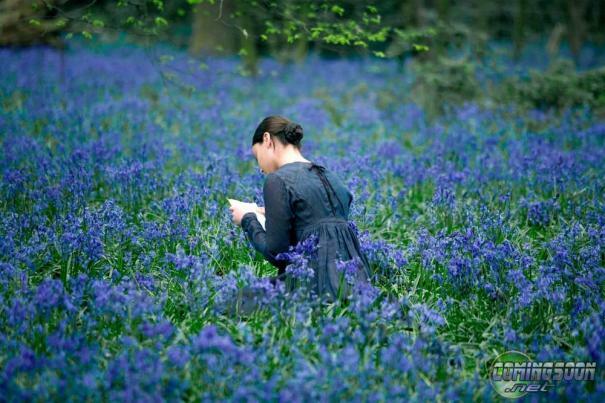 Keats, touched by Fanny's efforts to help care for his brother, agrees to teach her poetry. By the time Fanny's alarmed mother (Kerry Fox) and Keats's best friend Charles Armitage Brown (Paul Schneider) realize their attachment, the relationship had an unstoppable momentum. Intensely and helplessly absorbed in each other, the young lovers were swept into powerful new sensations: "I have the feeling as if I were dissolving," Keats wrote to her. Together they rode a wave of romantic obsession that deepened as their troubles mounted. Only Keats's own fatal illness proved insurmountable.